Well this is my second to last Jolly Jewel. 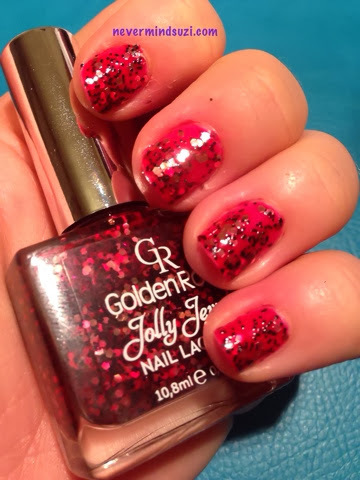 This red one reminds me of Accessorize Ladybird but a wee bit nicer, as it not only has the black glitters but nice chunky gold glitters too. 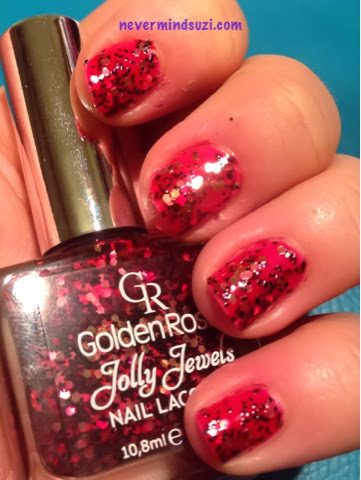 I think this red Jolly Jewel was my favourite, the red was such a lush colour and the gold really set off the black and red. Again it had a nice formula, smooth application and 2 coats was plenty.